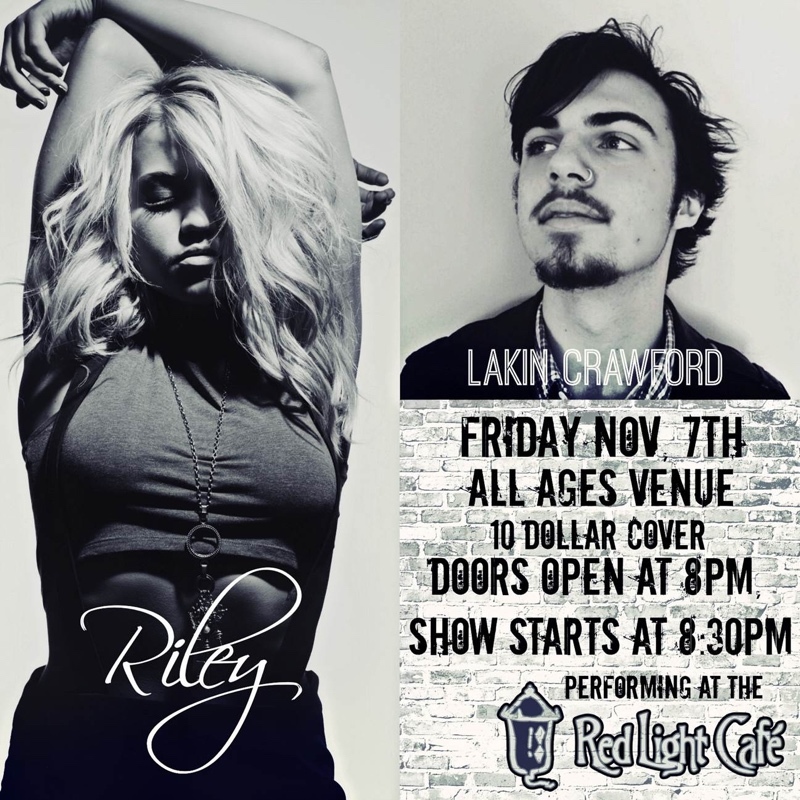 Come join Riley Biederer as she does her first show ever with her good friend, the talented Lakin Crawford at Atlanta's Red Light Café! Doors at 8:00, Lakin goes on at 8:30, Riley to follow. The first thing you notice about Atlanta-raised singer/songwriter Riley Biederer is how self-assured she is at eighteen. "I want to record an album," she says. "I want people to relate to my lyrics the way I've related to other people in my life. I want to do tours. I love when the audience sings along with words I've written." Her vocal virtuosity is undeniable too. But neither trait marks her as an outlier, not among what a new book calls Alpha Girls. Twenty-first century girls rule. Beyonce, Adele, Lady Gaga, Rihanna, P!nk, Katy Perry, Kelly Clarkson, Taylor Swift – none has a legitimate male counterpart, in profile, sales, or cultural relevance. Guy singers skate by on their female appeal. Boys even take a beating in the lyrics of the songs on the radio. "Blow Me (One Last Kiss)" "Mr. Know It All." "We Are Never Ever Getting Back Together." Turns out they're not so exceptional these days: confident young women. Thanks to the ubiquity of Garage Band, Riley's also not the first Alpha Girl to write her first song after school on her neighbor's laptop. But few of those compositions are compelling enough to hook producers, publishers, and Elton John's management company. She just recently signed a publishing deal with Sony/ATV. Most writers struggle to become natural at taking something specific – a classmate's lack of self-confidence on the guitar (a boy, naturally, in this case) – and making the creative leap to a universally relatable and marketable theme: "we all feel a little broken on the inside." That's a rare knack. Accomplished songwriters no doubt try to channel it each time they pick up a guitar. "I try to write about what's real," Riley says. "I write about love, because everybody knows what that's like, good or bad." The scars from her first crush are admittedly still pink and fresh. "I didn't like the way he dressed," she says of the unfortunate boy, not without remorse in hindsight. "I was his first girlfriend and I broke his heart." But she stops short of apologizing for having a youthful lyrical frame-of-reference. "You're learning what heartbreak is. You look back later and you realize it gets better, but at the time you're like 'Oh my God, it's my whole life.'" More recently, Riley found herself on the wrong end of getting dumped, by a guy with whom she was "head over heels." Like a true Alpha Girl, she made the experience work for her. "He was talking to a friend of mine after," she says, meaning romantically. "And she was telling me everything. I told Catt (Gravitt) on the way to the studio, and we just kept saying, 'What's he thinking? He's so stupid. How do we get this across in a song?'" Riley considers the track they wrote – "Stupid" – the best of the two hundred or so she's written or co-written. "I love the vibe of it," she says. "It's really real and so fun," she says. "And empowering for girls. I get the last laugh." Riley was recently honored by the GA Music Hall of Fame as their 2012 Bill Lowery Horizon Award recipient. This special award gives recognition to young performing artists for their outstanding achievements and talents. Riley continues to write and record in Atlanta, New York and Los Angeles for her forthcoming debut album.